The 1980s was a booming time period for movies. Many cult classics come from this era, be it the laughable flops, or the truly awe-inspiring masterpieces that are still relevant today. Netflix recently released a nostalgic thriller-mystery titled “Stranger Things”, incorporating the best elements of 80s movies into an exhilarating series bound to create a massive fanbase. “Stranger Things” revolves around the sudden disappearance of twelve-year-old Will Byers, which shakes his small Indiana hometown. Will’s friends and family desperately try to find him, all while more people go missing. Not long after Will’s disappearance, his friends discover an enigmatic young girl with telekinetic abilities in the woods…coincidentally near where Will vanished. As if apparent kidnappings aren’t enough, a secretive government lab has lost control of something very dangerous in the area surrounding town. With a new threat on the playing field, Will’s friends and family have to sacrifice normality and form unlikely alliances to deal with the unpredictable situation at hand. 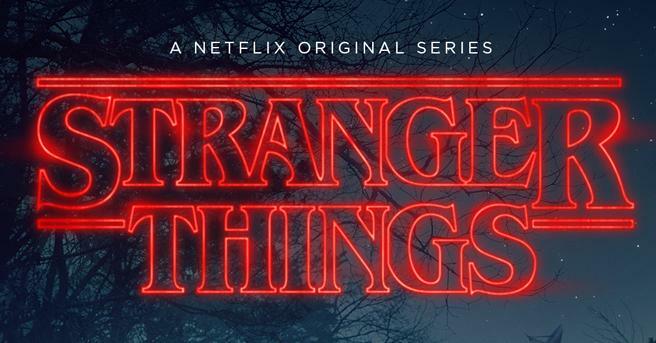 Set in 1983, “Stranger Things” perfectly captures the tone of 80s sci-fi flicks, and even pays homage to the likes of Steven Spielberg and John Carpenter. The show proves incredibly addictive right off the bat. For many viewers, it only took about a day to get through the entire first season. If anything, “Stranger Things” provokes the insatiable need to binge watch. Visually, the show is sophisticated and cinematic as can be. Binging the show just feels like watching a really long movie, due to the elegant cinematography and blockbuster-tier visual effects. The color palettes compliment the suspenseful and twisted story. Lots of blues, grays, yellows and greens are used to accentuate the show’s balanced mix of intense and lighthearted moments. The story is often presented from the children’s perspective, so special color tones are used to add even more life to their eccentric personalities onscreen. Simply put, “Stranger Things” has the best score imaginable for a sci-fi series. Synthesizers and 8-bit style beats are expertly produced to create a modern, yet accurate musical palette for the show’s time period. The score can be compared to the cinematic processed techno heard in “Tron: Legacy”. Because of the generally suspenseful and ominous tone of “Stranger Things”, the music that accompanied the first season needed to be equally dark in nature. Musicians Kyle Dixon and Michael Stein perfectly executed the production of the show’s main theme song, as well as the rest of the score. Two volumes of the show’s soundtrack/score are available for download on Apple Music, as fans have developed a deep love for the show and its music. As far as casting goes, “Stranger Things” did an exceptional job. Winona Ryder plays Joyce Byers, Will’s distraught mother. This was a revitalizing role for Ryder, and she brings a sweet, yet aggressively determined presence that the audience can deeply connect with. 12-year-old Millie Bobby Brown plays Eleven, the mysterious girl from the woods. Brown received international recognition for her role, and even caught the attention of “Breaking Bad” veteran, Aaron Paul. All in all, Ryder and Brown take the cake in terms of standout roles. The show’s producers deserve major credit for how well they chose their child actors and actresses, as each character became uniquely relatable, serving as a direct line to the audience’s emotions. Season 2 of “Stranger Things” has already been confirmed. According the show’s creators, they have a lot more story to cover. The cliffhanger at the end of season 1 leaves an open door for the writers to go any direction they’d like with the plot. One of the show’s greatest strengths is character development, and hopefully this will continue into season 2. Now that audiences are familiar with the characters and have connected with them in their own way, it’ll be very interesting to see how the show will play with the viewer’s emotions in the future. “Stranger Things” is one of the best written, best casted and best produced shows Netflix has ever released. It’s safe to say that it has a fanbase as big as shows such as “Narcos”, “Marvel’s Daredevil” and “House of Cards,” all of which are Netflix originals as well. A solid 9/10 is well-deserved for this brilliant new series. Until next year, viewers can enjoy season 1 of one of the greatest takes on the sci-fi genre ever created.